I read the third one in this series first and reviewed it here. Where did I get it? The library! What's it about? 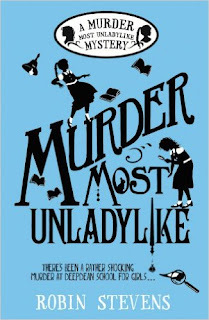 Daisy Wells and Hazel Wong have a Detective Society and in this mystery get tangled up in the murder of Miss Bell, after Hazel sees her dead body in the school gym. They have a list of suspects and need alibis - but can they get past Matron long enough to do their deducing?! Are any main characters non-white? Yes, Hazel is Chinese. There's not as much about that in this book as there is in the 3rd one, though. Is there any talk of death? Yes but it's not very gruesome. Would I recommend the book? Definitely. This series is a lot of fun. 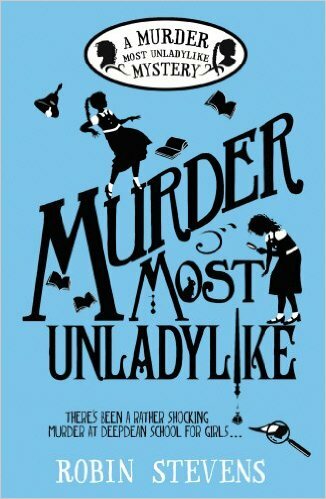 If I was ten years old, and into Malory Towers and other Blyton books, I'd be ALL OVER this series. Yes these aren't 'issue' books, but they're well written and just delightful to read. How many stars? 8 out of 10. Solidly good.